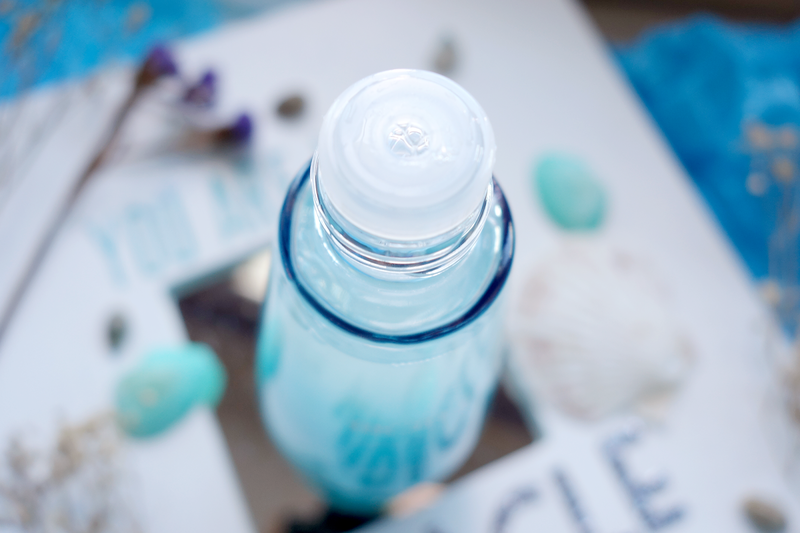 Anyone who reads this blog knows I'm a long time sufferer of dry/dehydrated skin. I've actually made my peace with it - somewhat - because I was previously a long time sufferer of acne. Between the two, of course dry skin seems the better way out. However, anyone with dry skin (especially an eczema-and-acne-prone type) will tell you it's still no fun ride. Thus when Biotherm asked me if I would like to take up this chance to try their world renowned and well loved Life Plankton™ Essence, it was a resounding yes on my end! 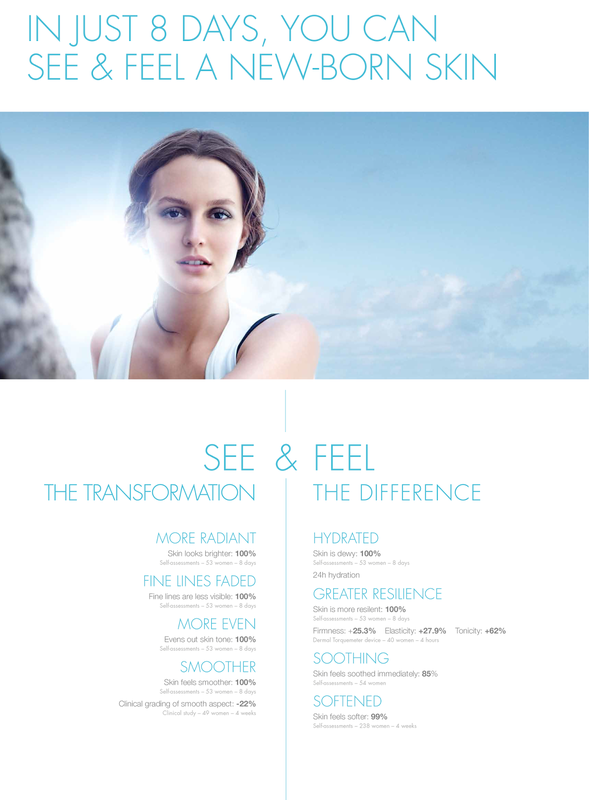 Biotherm's Life Plankton™ Essence is infused at its highest concentration (at 5%) with Life Plankton™ itself to create a transformative essence. 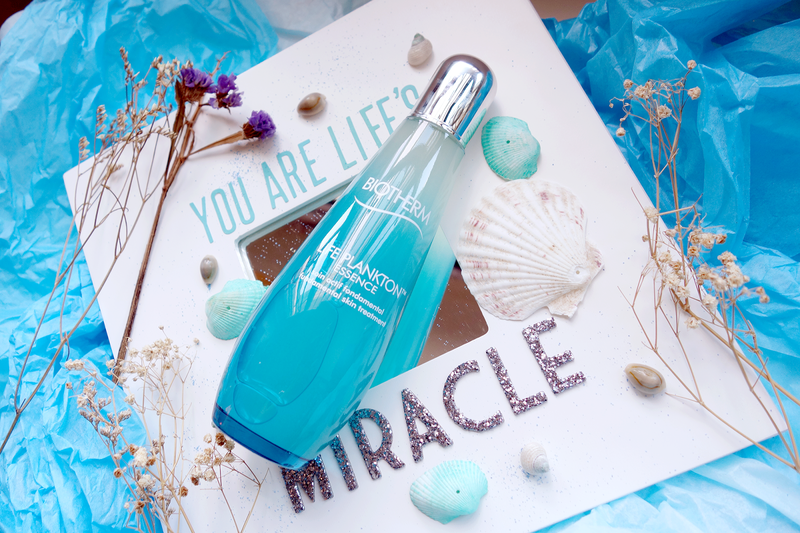 In fact, Life Plankton™ has been tested to demonstrate benefits beyond the cosmetic. With it as the special ingredient, it has shown its ability to soothe symptoms of Atopic Dermatitis even. Biotherm's Life Plankton™ Essence promises 8 SKIN BENEFITS IN 8 DAYS - for us to see our skin change before our eyes and feel it change beneath our fingers. In that short amount of time, users can say hello to new-born skin that is more radiant, more even, smoother, hydrated and with greater resilience with lesser fine lines. Upon usage, skin is IMMEDIATELY softened. Biotherm also created a testing protocol to more accurately assess Life Plankton™'s regenerating effect on skin texture - via a blindfolded judging panel - and the results came to show that the skin on average looked to be almost 3 years younger, whilst the best performing one looked to be 13 years younger! The texture of this product is actually very interesting... I'm sure many of you have read before but it initially has a thicker viscosity like one of those heavy duty serums. I don't know why.. it just feels slightly sticky upon first touch. When you use it, however, it suddenly transforms to be as lightweight as water and absorbs upon patting. Personally, my dehydrated skin drunk it up pretty quickly but I've heard from some friends with oily/combination skin that it takes a little longer to dry. No issue, just place a thin layer of gel/water-based moisturizer over and you should find it sits fine after. I suggest about 5 drops for the whole face, but if you still find it slightly tacky after due to its high levels of hydration, then just lessen to 3 drops till your face acclimatises. I use this after cleansing and toning both in the morning and evening, where my skin is well prepped for its goodness. • Repeat application on drier areas of the face and you may draw 8s on your face as per the image on the left. I don't really feel that it requires 2 more drops, but if you have REALLY dry skin, go ahead! Overall, this is a serum I've heard many bloggers themselves rave to ME (not on their blogs alone) about and I myself do see why too. It definitely does create a change in skin texture and hydration, and I do turn to this whenever I see my skin going downhill in the moisture department. It always "saves" me at the right time like when I go on flights and my skin turns awfully dry when I reach my destination or when I'm suffering an allergy and need a solution ASAP which I totally appreciate because it not only shows that it hydrates but that it's also very suitable for sensitive skin.